Sometimes you just need to move the air in order to cool the air! While our misting systems can be designed to cool your outdoor space by as much as 30 degrees, if the space has a high ceiling or is very “open”, it can be very difficult to create the mist curtain required to achieve the “room effect”. In this case (or when high humidity is present), we recommend combining mist technology with fan technology. 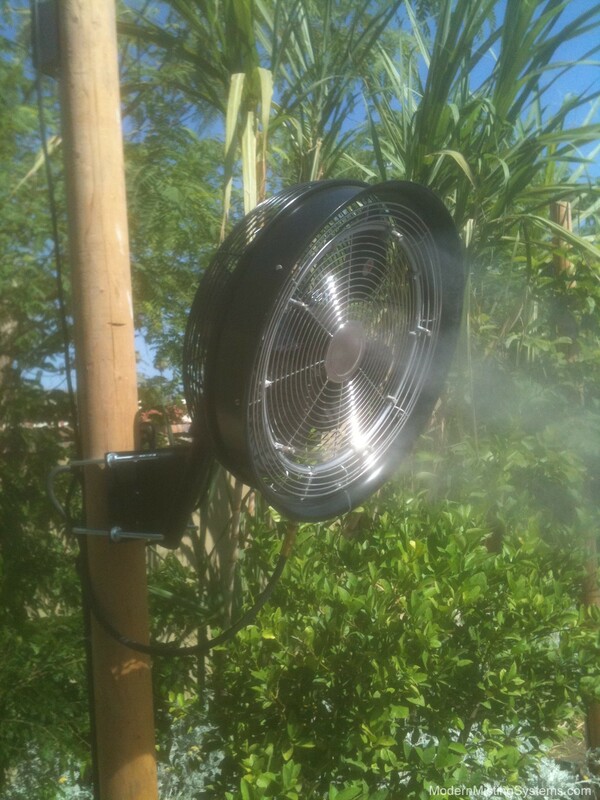 Modern Misting Systems builds a complete line of misting fans that can be incorporated into our custom misting system installations, or they can be bought separately as an independent custom or stand-alone system.